The ocean ecosystem is home to at least 7000 holozooplankton species (Table 1). 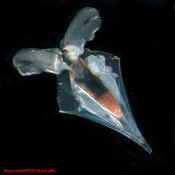 They are distributed throughout the world's oceans in biogeographic provinces that were described nearly a century ago (e.g. McGowan 1971, 1974; Longhurst, 1998). 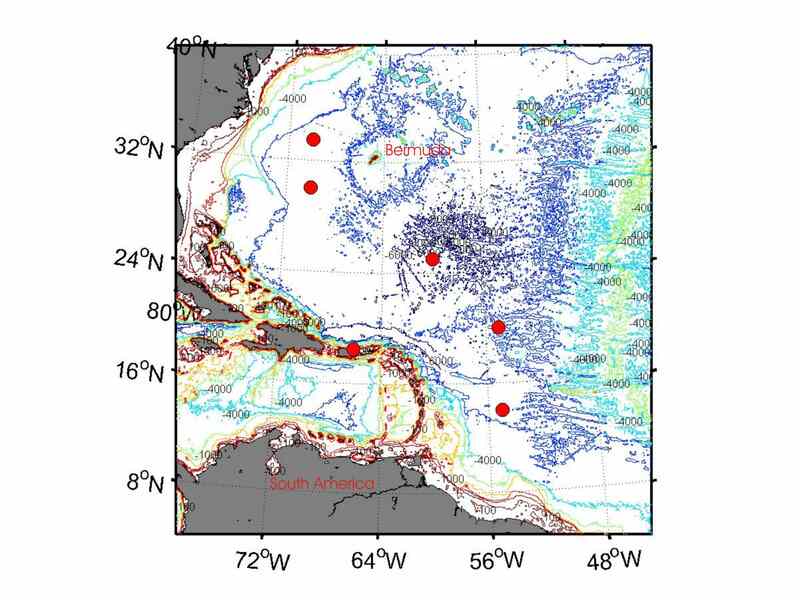 These patterns are based almost exclusively on species that inhabit the upper 500 to 1000 m of the water column, i.e., the epipelagic and mesopelagic zones. 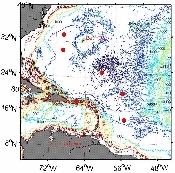 Below these depths - in the bathypelagic and abyssopelagic zones - far less is known about zooplankton species diversity, distribution, and abundance. 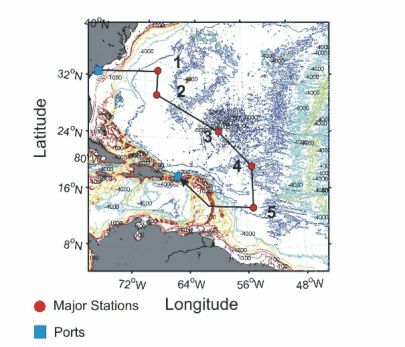 This lack of knowledge is even more notable since the bathypelagic zone accounts for 60% of the ocean's volume, making it the largest marine habitat on earth (Table 2). Comprehensive understanding of zooplankton biodiversity has eluded oceanographers because of the fragility, rarity, small size, and/or systematic complexity of many taxa. 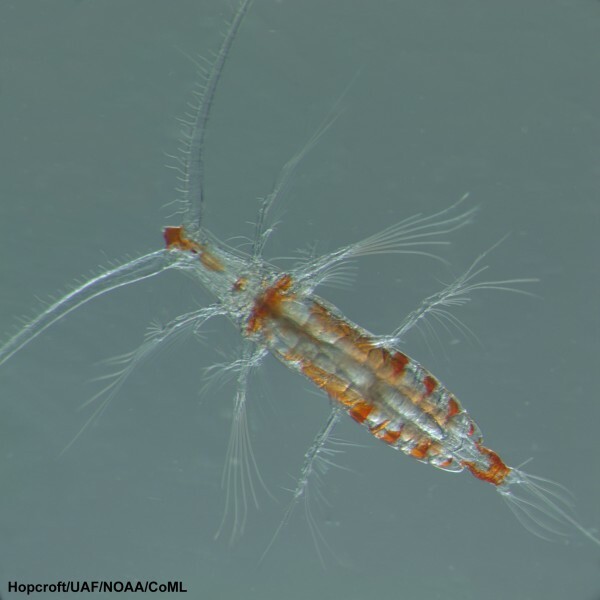 For many zooplankton groups, there are long-standing and unresolved questions of species identification, systematic relationships, genetic diversity and structure, and biogeography. The global geographic scale of the investigations required to address these issues, as well as the three-dimensional complexity of the world ocean, make complete knowledge of marine zooplankton diversity challenging. With increasing depths, the need for fundamental knowledge of pelagic biodiversity becomes even more marked. This CMarZ project will address the second grand challenge of the Census of Marine Life (CoML), "What lives in the ocean now?" We seek to explore under-sampled deep-ocean pelagic environments and to document zooplankton species diversity across the 15 phyla comprising the holozooplankton. CoML has estimated that as many as 5,000 fish species may be undiscovered, and CoML discoveries include a new cetacean (Wada et al., 2003) and gigantic cephalopod species (Veccione et al., 2001). However, most of the new discoveries are likely to come at the other end of the size spectrum. The Census of Marine Zooplankton (CMarZ), a CoML ocean realm field project, has estimated that at least 1600 new zooplankton species will be discovered by 2010 (CMarZ, 2004; see Table 1). Consistent with Ocean Exploration mission goals, our project is designed not only to expand the boundaries of researchers' knowledge, but also to provide graduate-level training in taxonomic identification of zooplankton groups, engage undergraduate students in biodiversity research, and showcase the beauty of marine life through web-based imagery. The education and outreach goals of the project will be achieved in large part through partnership with CoML and CMarZ. 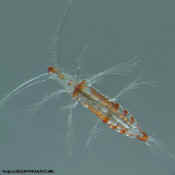 These two zooplankton species were in the first group ever to have their genes sequenced at sea.